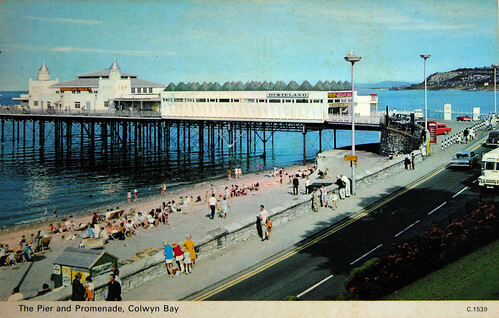 The Public Meeting on Friday 22nd January at 6pm in the Town Hall in Colwyn Bay should prove to be a watershed for the fortunes of Colwyn Bay Pier...for better or worse. 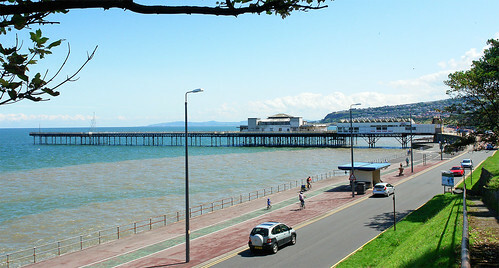 The meeting was called by local MP, David Jones, in a bid to ascertain local peoples thoughts about the Pier's future. The Pier's condition has deteriorated sharply during its period of closure and something needs to be done soon. Should it be renovated, demolished, extended, shortened? Should it be privately or publicly owned? What facilities should be provided if it is renovated? I understand that consultants from DPP Shape (who are responsible for the Colwyn Bay Masterplan) will be attending the meeting in order to take note of residents' opinions. Sadly, it would seem that no-one from Conwy County Council will be attending - which seems somewhat odd? Update: Space at the venue is very limited and, due to the immense interest, only people that have pre-registered with David Jones' office will be able to attend. I understand that there's only a few places left, so if you'd like to attend, please contact David Jones' office on 01492 535845 or email owenj@parliament.uk quickly! CCBC Councillors have been ORDERED by CCBC not to attend, and further told that even if they attend as private individuals rather than Councillors, they must NOT answer any questions or engage in any debate. I've been interviewed this morning for ITV news (should be on this evenings news) and also Radio Wales (should be on Friday mornings news). I hope everyone will come and show support and some forward thinking ideas. Please everyone turn up, even if the office says you can't get in... there are bound to be people who register and then don't come, plus if necessary we'll have the meeting in the street! What is important is a real show of public support and concern, CCBC must realise they just can't keep ignoring the people who pay their wages by burying their heads in the sand hoping the problem of the pier (which they solely created) will just go away.